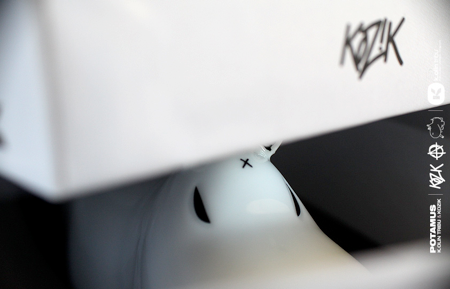 It was in 2009, Matthieu Dutheil, a passionate collector of figurines, decides to propose an alternative to the production of vinyl toys through the creation of the company K.Olin Tribe. 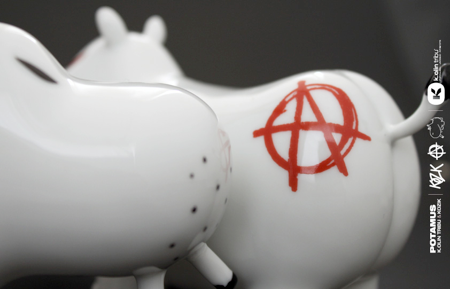 The simple idea of associating porcelain creative universe, graphic designers, illustrators, designers toys and artists, can give another approach to decorating figurine, whether produced in limited series or unique. The company K.Olin Tribe is located in Limoges (France), but its reach is global with the signing of recognized artists from the graffiti and street art. The figures published by K.Olin Tribe are produced and decorated in Limoges and thus benefit from the appellation: Porcelain Limoges, France. China, symbol of luxury and refinement, enchants more than ever the unique pieces collectors. It is in this spirit of unique pieces that K.Olin Tribe addresses all new creations. Each piece has a special attention not leaving room for manufacturing defects. This quality approach is the creation of the plaster model to final packaging.